The key to selling lots of products in your e-commerce store is giving potential customers all the information they need to make a decision. This means finding a clear way to display the vital attributes for each product. In this guide, we’ll introduce the solution you’ll need – WooCommerce Product Table. Then, we’ll walk you two ways you can use this plugin to display WooCommerce attributes on shop pages. Let’s get started! Some online stores sell simple products that don’t require much in the way of detail or explanation. However, you’ll often want to include key product attributes as a part of each item’s description. ‘Attributes’ are extra information about the characteristics of a product. This might include the item’s size, its color, the material(s) it’s made out of, and so on. WooCommerce – the most popular and powerful e-commerce plugin for WordPress users – lets you easily add attributes to each product. You can either use attributes as a way of providing extra data about each product. Or you can use them to create product variations, with each combination of attributes displayed as a variable option in a dropdown. This is fine, but it isn’t very prominent. You’ll want to make your attributes more much difficult for customers to miss, so they understand what each item is all about. Plus, you may want a way to show off each item’s primary characteristics in one place, so customers can easily search for all products with a specific color or material (for example). 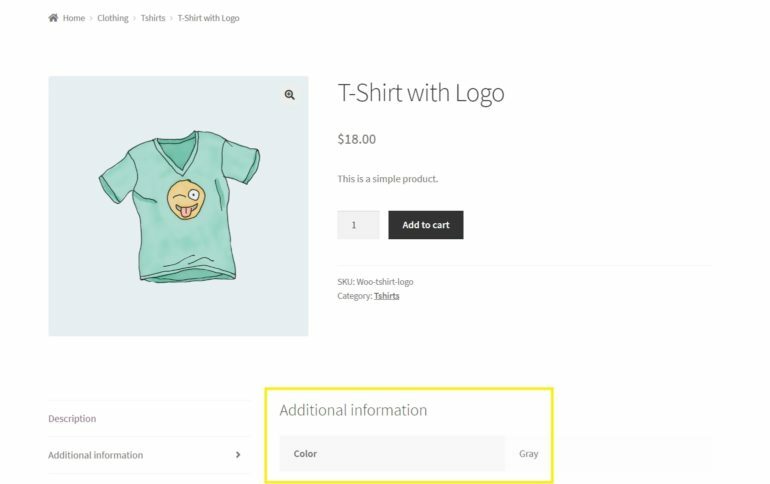 Check out the WooCommerce Product Table attributes demo! WooCommerce Product Table offers a few different ways to display WooCommerce attributes on shop pages, either within the table itself or as a replacement for the main WooCommerce page. Let’s take a look at how this works in practice. Before you considering adding this type of product table to your own store, you might want to know what it looks like in action. Therefore, let’s showcase two websites that use this plugin to display WooCommerce attributes on shop pages. This site’s product tables lay out the parts offered in the store, in a straightforward and organized manner. On each line, you’ll find all of that product’s relevant attributes, such as size, capacity, and wattage. Replicating either (or both) of these features on your site is a breeze. In the next few sections, we’ll show you how! 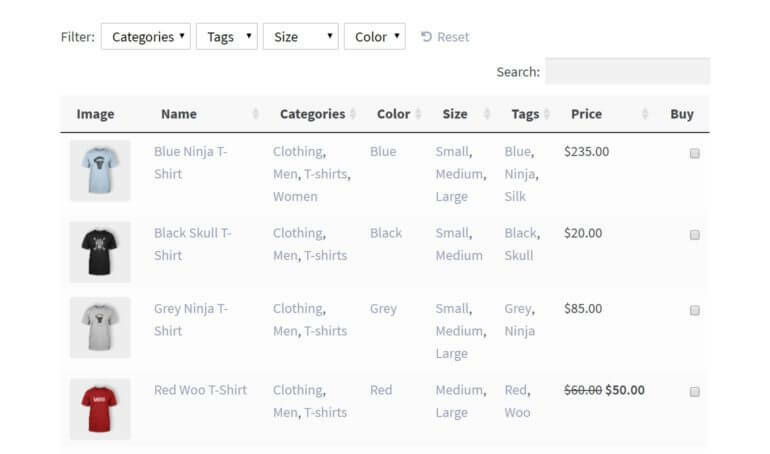 Below, we’re going to walk you through two ways you can use the WooCommerce Product Table plugin to display attributes on shop pages. These methods can be applied to both new and existing WooCommerce stores. You can set up a product table that lists out each product’s attributes, either as a new page or to replace the default WooCommerce shop page. You’ll need a WordPress website, which is easily to install quickly. You’ll want to install WooCommerce, and run through the simple setup wizard to get it configured. Each product you’re planning to sell should be listed as a WooCommerce product. 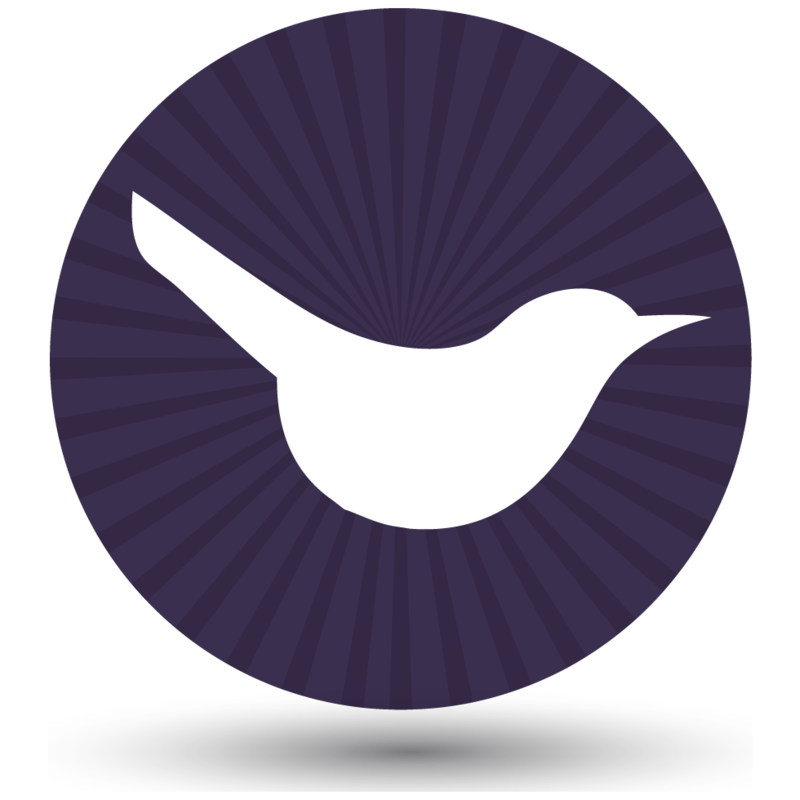 Finally, you’ll need to purchase the WooCommerce Product Table plugin. Install it on your site, and don’t forget to activate your license key. With that, you’re ready to get to work! Get WooCommerce Product Table now! The first way to display WooCommerce attributes on shop pages is the most straightforward. In this method, you’ll use WooCommerce Product Table to set up a new page, where all your products will be displayed. You can then use this page instead of the default WooCommerce shop page. Here, you can simply fill in the information under Add new attribute. You can give it a name (such as “Color”), a lowercase slug (such as “color”), and then hit the Add attribute button. This will add it to your list of attributes on the right side of the page. Here, you can add each option for that attribute, one by one. For instance, you could call the first term “Red”, the next one “Green”, and so on. Select Add new Color (or whatever you named your attribute) for each term, and include as many as you’d like. When you’re done, select Save attributes. You can then create additional attributes as needed for the same product, or go to your other products and repeat this process. Make sure to update each product you modify in this way. On this page, you’ll find a ton of options for customizing the way your product table looks and functions. You can read up on all the settings in the WooCommerce Product Table documentation. Right now, let’s focus on attributes. There are several ways to display them in your product table, depending on your personal preference. 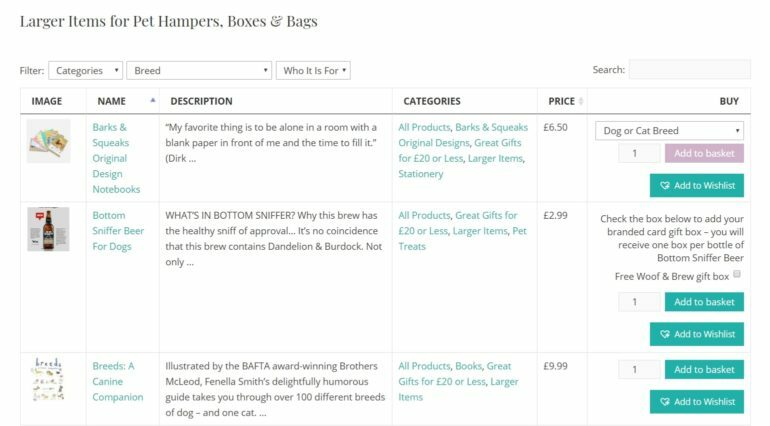 The simplest technique is to add a separate column in your table for each product attribute, increasing their visibility. This is where you can list out all the columns you want included in your table. You’ll want to place them in the order you’d like them to appear, separated by commas. Now, customers can easily see all their choices for each item you offer and attributes. This is a user-friendly way to display WooCommerce attributes on shop pages effectively. If you’re using variable products and want to display variation dropdowns in the product list view, that’s fine too. Just choose one of the variation options on the Product Table plugin settings page. 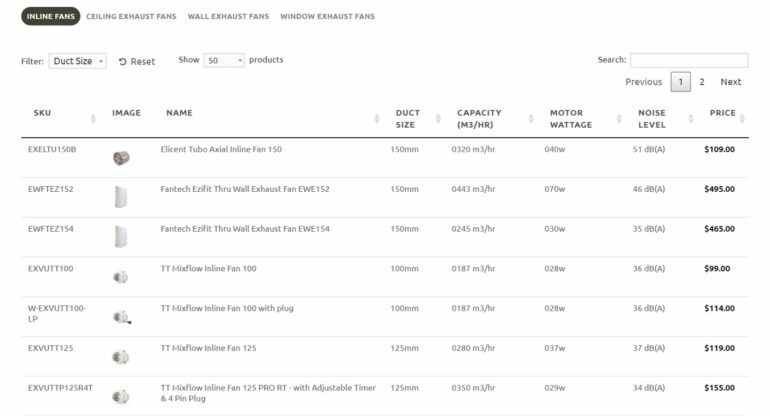 If you want customers to be able to find products with specific attributes, then you can add dropdown menus above the table or filter widgets in the left or right sidebar. Select Custom here. Then, in the Custom filters field, type in “attributes” if you want to include a filter for every attribute in your store. Alternately, you can include only specific attributes, by creating a list separated by commas. For each attribute, you’ll want to preface the unique slug with att: (for example, att:color,att:size). As you can see, there’s a dropdown filter menu above the table for each attribute. 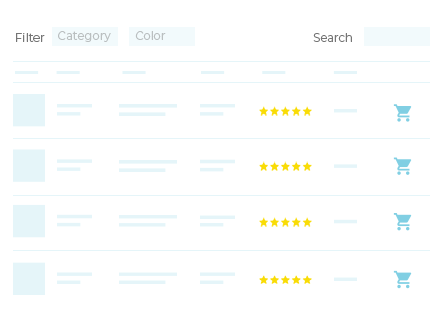 Customers can use these menus to filter the table, in order to find what they want quickly. What’s more, you can either use this technique on its own, or in combination with the previous method. Finally, let’s look at one more option you have for displaying product attributes in your store. If you’d rather list your attributes as filter widgets in the left or right hand column of your product listing pages, that’s fine too. 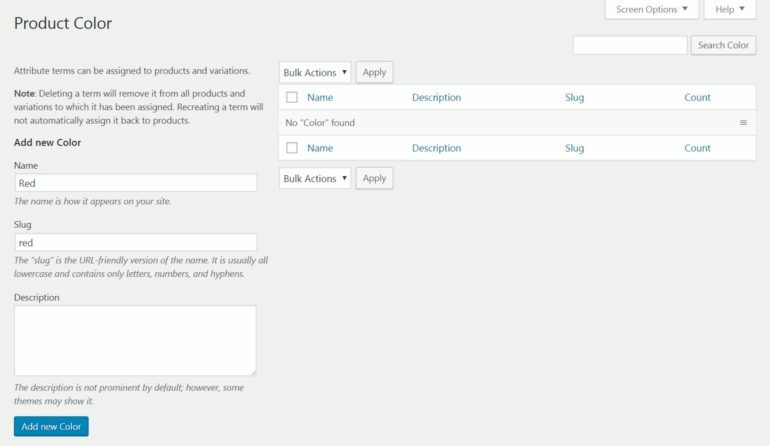 WooCommerce Product Table comes with attribute filter widgets, which you can display as checkboxes or dropdowns. This method is a great way to make shopping a little easier for your visitors, and can be used alongside any of the techniques we’ve discussed so far. Or if you want more fancy AJAX filters, then you can choose from two compatible filter widget plugins. The above method is the ideal way to display WooCommerce attributes on shop pages in most scenarios. You can create a new page for your product table, and use that instead of the standard WooCommerce setup. 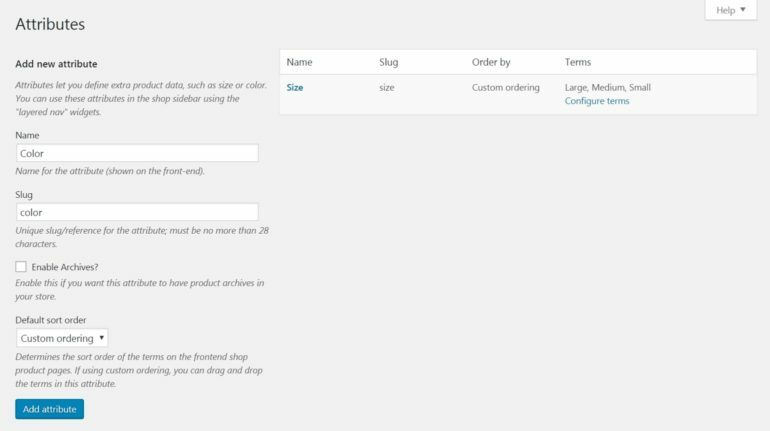 However, what if you instead want to replace the default WooCommerce shop page with a product table? If you do this, your product table will show up on the main shop page, as well as on category pages and the like. It will include all of your customizations, so customers can see each product’s attributes listed out clearly. You can do this by making a change to your active theme’s template. For more details, check out this documentation article. However, be warned that this is an option best suited to more technically-experienced users. In particular, you’ll want to be familiar with the process of logging directly into your site’s files using File Transfer Protocol (FTP). WooCommerce is a solid foundation for building nearly any type of e-commerce store. However, sometimes you’ll need an additional tool to show off your products in the best possible light. Fortunately, WooCommerce Product Table makes that very simple. Set up a standalone product table, and display attributes using drop-down filters or as columns within the table. 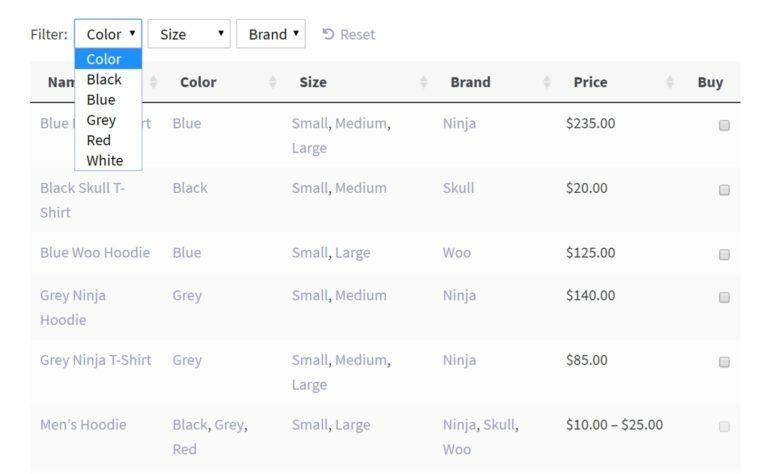 Replace the default WooCommerce shop page with a product table, by overwriting your theme’s template file. Do you have any questions about how to display WooCommerce attributes on shop pages? Give up a heads-up in the comments section below! Wondering why WooCommerce didn't make that easier? A bit over the top that a plugin is necessary to show something that comes out of the box with WooCommerce, no?